distribution Statewide; occurs in all 100 counties. abundance Abundant in every county, more so in the Coastal Plain than farther west. Excessively abundant in many Coastal Plain locales. This is the most omnipresent odonate in North Carolina, seen on more field trips than any other species. flight Nearly throughout the dragonfly flight period, except absent in very early spring. The Coastal Plain flight extends from very late March or early April to late October, with one or two records for November. The Piedmont flight is slightly more narrow -- mid-April to late October, and the mountain flight is from late April to mid-October. habitat Ponds, lakes, swamps, and slower portions of river or creeks. Still waters. behavior Adult males are found closer to water than are females and immatures, but they often are seen feeding well away from water. Females and immatures commonly forage far from water, along wooded roads and trails, in fields, and other open sites, though favoring areas close to woods. They often perch flat on the ground (as do many skimmers and some clubtails), but they also perch on twigs and other vegetation. comments This and the Blue Dasher are our most abundant dragonflies in NC, probably numbering in the tens of millions. 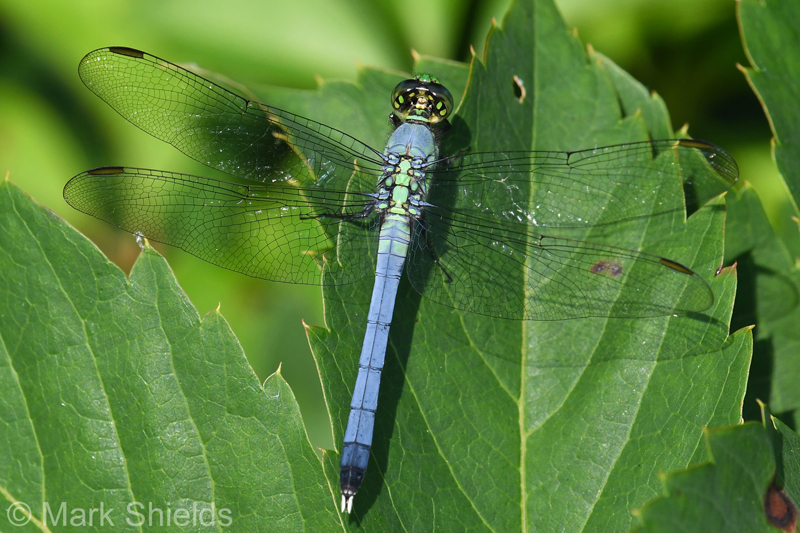 In fact, Pondhawks are so excessively abundant in some areas in the Coastal Plain and they devour so many other insects that they nearly deplete sites of smaller butterflies, for example. This is our most predatory species, even consuming other Pondhawks! It takes practically no time to become familiar with the species, and they are adept at following you as you walk a jeep road or powerline clearing, ready to pounce on anything -- butterfly, moth, bee, etc. -- flushed by your footsteps. Comment: Davidson, 2018-07-02, Lexington. Pond at Finch Park. Comment: Dare; Mainland, 2015-06-07, Alligator River NWR Sandy Ridge Wildlife Trail - Multiple individuals seen but not counted.